Description:Your job is simple, transport passengers around realistic cityscapes and country sides following a planned route according to a timetable and learn the basics of professional driving by obeying traffic rules and taking care of your passengers. 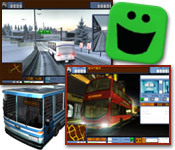 Earn points to work your way from a simple city bus to a school bus, double-decker tour bus or even a prison transport in Bus Driver, a fun Simulation game! 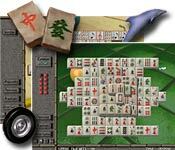 Play mahjongg solitaire in any of twelve unique ways with the exciting and extremely versatile Mahjongg Variations. This game features 16 layouts, 16 backgrounds, and 800 unique puzzle levels. Choose how to play: Select regular modes with classic rules or new modes where you can do things like invert columns, match doubles right away, zap out tiles, and test your memory. Download today and add some variety to your life.